The late 1960s and early 1970s saw an unprecedented increase in the construction of new industrial, commercial, and residential facilities in the Louisville area. As customers’ demand for energy increased, LG&E needed additional generating capability to guarantee supply and ensure reliability. Mill Creek began commercial operation in 1972 to meet this growing demand. LG&E began construction on Mill Creek in 1968; Unit 1 went into service by 1972, and Unit 2 by 1974. Unit 3 went into operation in 1978, and Unit 4 in 1982. The construction of Mill Creek allowed the company to implement ideas that were innovative and cost- effective then — and the industry standard today. Identical generating systems were installed for Units 1 and 2 so that they could have the same design and some of the same equipment, such as a single stack. The controls for all four generating units were computerized and located in a centralized area. Additionally, a coal-handling system was installed that stockpiles coal as it is received, reclaims it from storage, reduces dust emissions, and can be controlled from several different locations. With public concerns about aquatic life in the Ohio River, the company built Mill Creek’s first cooling tower to serve Unit 2. Mill Creek currently utilizes three large cooling towers. LG&E pioneered the use of both electrostatic precipitators and scrubbers. All of the generating units were equipped with electrostatic precipitators to remove fly ash, and a flue gas desulfurization (FGD) system to remove sulfur dioxide (SO2) from the flue gas. Today, the company has the most extensive scrubber program of any utility in the country. Every megawatt generated at Mill Creek station is scrubbed. 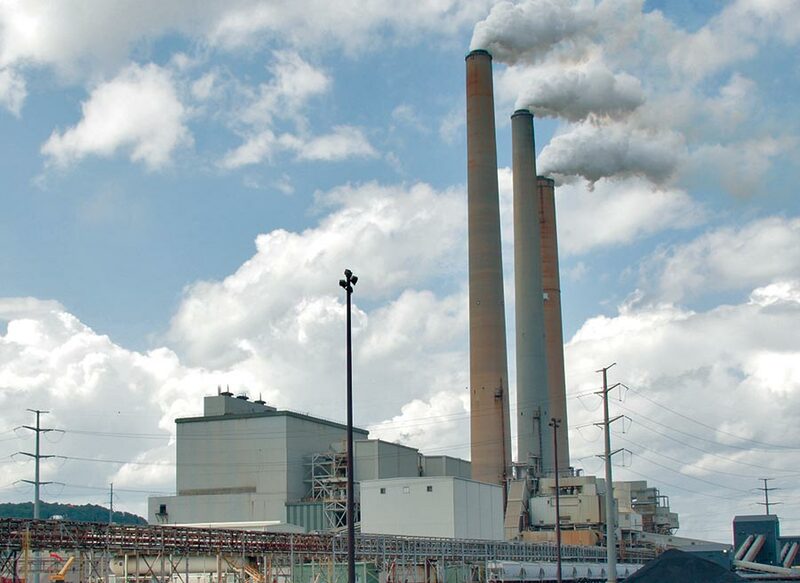 LG&E has received local, national and international attention for its SO2 removal efforts. In 2000, LG&E installed its own facility for grinding limestone used in the scrubbing process. Construction is nearing completion on modernizing emission controls at Mill Creek Generating Station in response to stricter EPA requirements. The new equipment will further increase the company’s ability to control SO2 emissions from current levels (around 90 percent) to a 98 percent removal rate. In addition, mercury and particulate emissions will be further reduced in half. Specific controls being retrofitted and enhanced include: new scrubbers for Mill Creek Units 1, 2 and 4 and an upgraded scrubber for Unit 3. Fabric filters or baghouses are being added to all four units to reduce particulate, mercury, sulfuric acid emissions and other hazardous air pollutants. For some of these pollutants, the company was already controlling up to 90 percent. An important part of the company’s mission is to positively impact the communities in which it does business by supporting education, community outreach, environmental stewardship and the arts. Employees and contracted employees of Mill Creek have a long tradition of volunteer service, community involvement and support of local charities. These and similar efforts contribute to the well-being and success of the communities in which we work and live, and reinforce LG&E and KU’s commitment to be both an employer of choice and a good corporate citizen. Each year, hundreds of volunteers assist nonprofit agencies and public parks across our service territory by tackling tasks like painting, mulching, cleaning up debris, building walkways and even building and remodeling homes.